Great prices on quality Eggbutt Full Cheek Bits, horse supplies and many great equine products at Horse Tack Now. 100% satisfaction guaranteed. Eggbutt Bits and Horse Tack Equipment are sold here at Horse Tack Now. The Eggbutt Full Cheek Bit with 5'' Cheeks that we offer is a Top Quality item for your Horse. This item give lateral control and measures 1 1/2'' in rings and 13mm mouth. This item is made of top quality materials that will last a lifetime. 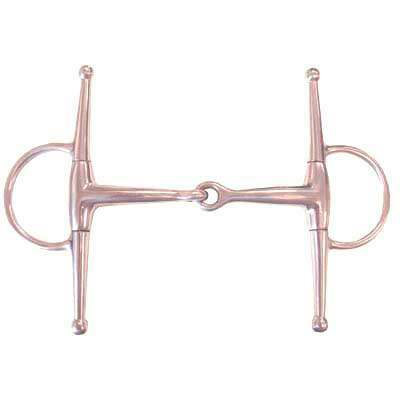 We stock the largest selection of horse bits in the industry. We also offer competitive pricing on all of our products. If you are in need of a eggbutt full cheek bit with 5 1/4'' cheeks this item is just what you need. All our items are sold at unbeatable discount prices.